For all who have dark circles under their eyes, you know how annoying they can be to cover. To top it all up lately the skin round my eyes has been getting really dry so I decided to try out something new. Lately I had been using a cooling eye gel from the Body Shop to reduce the puffiness. This is also very light and works really well to apply makeup over it. However this does not do much for my dark circles and even more it is not that moisturizing to my drying skin. 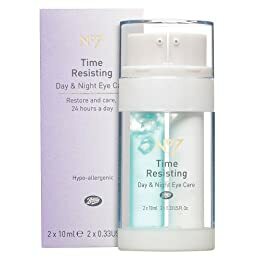 So I decided to try out something new, comes in the Boots No.7 Time Resisting Day and Night Eye Care. This consists of 2 products, one is a gel and is to be used during the day and the other is a cream which I have found to be really nice and moisturizing. The products come out from a pump, each product having a pump each, giving you just the right amount for one application. 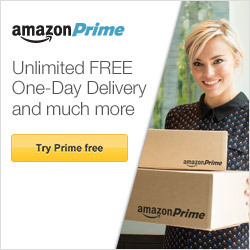 I have had this products for 2 weeks now and I am really liking it so far. The skin is getting more moisturized and the dryness seems to be reducing. So a big thumbs up for this product. I got mine from ebay since there are no Boots here! Hope this was helpful! Anyone tried this product? Do you love the Boots No.7 Brand? < Previous Something to brighten your day!